Lyme disease often has a devastating effect on patients, but it also deeply affects friends and family. 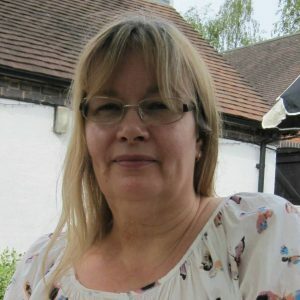 Val Kellaway recounts hers and her daughter’s nightmare with Lyme that lead them to setting up the charity LymeAid UK. In August 2011 my only daughter Sophie, who I brought up alone, went on a well-earned break from university to a music festival in Slovenia for a few days. She and her friends were camping in a mountainous , forested area and had a great few days relaxing and having fun. One morning she got up to find a small hole in the back of her calf and assumed an insect bite of some sort. She didn’t take too much notice of it, but soon after returning home to Manchester it developed a red ring around it. Upon Googling this rash the thing that popped up was Lyme Disease. Neither of us had heard of it, despite Sophie being a science student and me a nurse of 28 years! It looked quite worrying from what we read so she went to see her GP who told her not to scratch it, and to put a dressing on it. He did carry out a blood test, which came back negative, so we forgot about it and carried on with normal life, Apart from feeling a bit under the weather at times Sophie remained well for the best part of a year. In summer 2012, as she was completing her 4 year degree she caught a virus, which went on her chest. She ended up having antibiotics and a course of steroids for 10 days to clear it up. One month later she awoke to find she couldn’t get out of bed. Several visits to doctors and Out of Hours ensued, but nobody knew what was wrong. I went up to Manchester and took her to OOH myself as they kept saying she had tonsillitis, she could barely stand or walk. The nurse we saw agreed with the doctor the previous day, who had said it was tonsillitis. Her tonsils were not swollen but her mouth and back of her throat were red and coated with what I knew to be oral thrush. The nurse told us that only adults with cancer or AIDS got thrush…. At that point we gave up on them and bought some over the counter thrush treatment, which cleared it up in a few days. Another visit to the GP followed. Blood tests showed that her Vitamin D was severely deficient, so she was given a course of tablets for that. She had another Lyme test which again was negative. I ended up taking unpaid leave from work to look after her as her boyfriend was frequently away. She was sleeping for 22 hours a day, and could not stand long enough to make a sandwich, I was worried that lack of nutrition and fluids was going to make her worse so I brought her down to stay with me for a while. Her heart was going crazy and she had a lot of pain. She was white with huge black shadows under her eyes. She had to postpone her PhD as she couldn’t travel to university; thankfully they gave her an extension. The Vit D tablets helped though, and after Christmas she managed to drag herself in to the lab to work on her PhD. We remained convinced that she had Lyme however, and a few months later we came across LDUK on Facebook. What a shock to discover that 200 people in the group had the same issues and problems getting diagnosed and treated! A whole world of possibilities opened up and in early summer we went to Yorkshire to see a private doctor who understands Lyme. She confirmed from Sophie’s history that she had Lyme disease and started her immediately on Doxycycline for a month. We couldn’t travel there often because of the distance but were so grateful that we had that diagnosis. Sophie bought another couple of months of Doxy online and after 3 months she felt much better, well enough to travel to a clinic in Germany. Blood tests there confirmed Lyme (borrelia), CpN and Bartonella, and she was started on triple antibiotic therapy. She continued to improve and stopped treatment after 6 months when tests showed she was clear of infections and she had been symptom-free for a month. She had her life back at last after a nightmare couple of years, and mum could stop worrying! She remains well nearly 3 years after finishing treatment, and in December 2016 she graduated with a PhD in Stem Cell Research. This episode will go down as one of the worst times of my life. Sophie is everything to me and I felt so helpless. Every doctor we saw tried to help but could not understand what was going on with her, mostly because they think that the negative NHS test result is true, and can’t work out what is making their patient so ill. I was really scared that I was going to lose her as she was so very ill and if I could have taken the illness from her I would have! All mums out there will understand that. I feel very thankful that we found the answers through the internet and LDUK, and were able to fund testing and treatment, and it breaks my heart to read of all the people who cannot do this. If I ever won the lottery I would help everyone! We saw – and still see – so many dreadful stories of people being left to rot by the NHS because of ignorance, and wanted to help in some way so we decided to start a charity to fund overseas testing for those who couldn’t afford it, but clearly had Lyme. 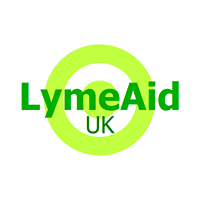 LymeAid UK was born and continues to grow. Hopefully one day we will not be needed!